Learn about Podcasting and Podcasters. 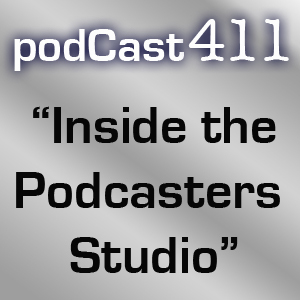 podCast411 is a show about interviewing other Podcasters, similar to Inside the Actors Studio except for Podcasting. Each show we interview a different Podcaster to find out what Podcasts they are listening to, what their show is about, what they are using to create their Podcast and what advice they have for other Podcasters or those looking to become a Podcaster. Plus we have news, notes and tech tips for Podcasting.